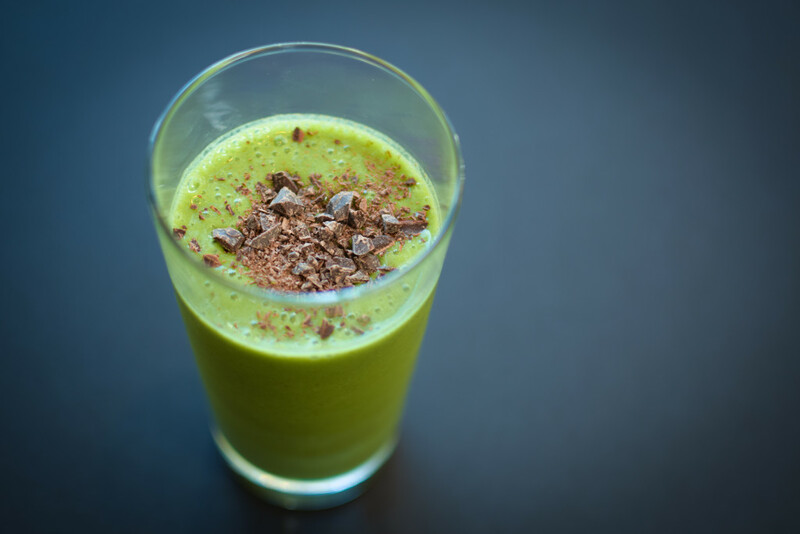 Pour the almond milk, vanilla extract, and peppermint extract into a high speed blender. Add spinach. Blend until smooth. Make sure it is totally smooth, and there are no small bits of spinach. Add the bananas, and blend until creamy. Chop the chocolate chips and sprinkle on top. Enjoy! This may be a silly question, but will this taste strongly of banana? I don’t particularly enjoy bananas in smoothies and am worried the bananas will overpower the other ingredients! Looks like a lovely recipe, love your videos!